3 Which Hair Clipper is suitable for you? Grooming with precision and Style with our best hair clipper reviews 2016. 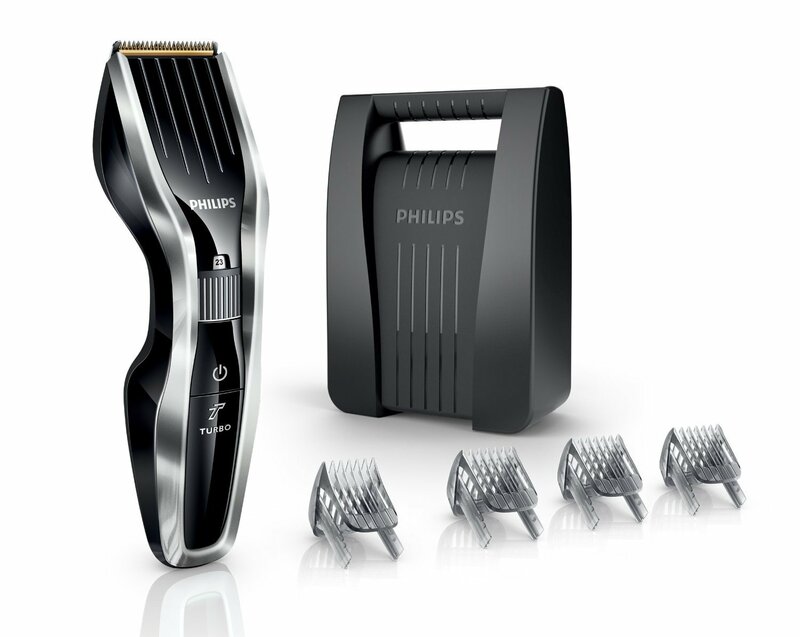 The Philips Hair Clipper Series 5000. Currently the UK's most popular hair clipper. In most cases you don’t just shave your beard but also cut your hair regularly. Maybe you’re lucky and you have friends or family who can cut you hair for you or maybe you can even do it yourself. Either way you’ll need a good pair of hair clippers to do so properly. With the right hair clipper set and a bit of practice you might never have to set foot into a hairdresser’s any more. But there is a wide variety of hair cutting machines and you might need further information before buying one. We’ve compared a range of hair cutters and analysed certain criteria in order to pick what is in our opinion the UK’s best hair clipper. In this buying guide you’ll find out what you need to know about hair clippers, what separates them from beard trimmers and how to find the best value for money hair cutting machine along with your personal best hair clipper. Our best hair clipper reviews 2016 showed that it’s not just the price that determines the quality of hair cutters. Often it’s the small details you need to look out for that make the difference. We’ve listed the types of hair clippers below so you can gain a quick overview. Cord Operated Hair Clippers Pretty much the most Standard hair clippers that run on mains. They come as stand alone devices or hair clipper sets. 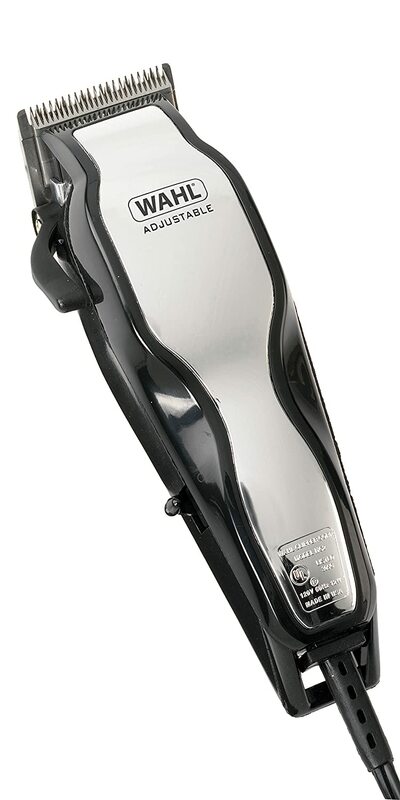 The most popular are Wahl hair clippers. They have the advantage of being always ready for use provided they can be plugged into the wall. Cordless Hair Clippers Cordless hair clippers usually don’t lack any of the qualities that cord operated cutters have. Obviously they allow you more workspace as they are battery powered. People often mix them up with beard trimmers and other hair cutting machines as they look quite similar though they usually don’t have the precision that beard trimmers bring. Our best hair clipper reviews showed that both types of hair cutting machines have certain advantages and disadvantages. As you can see there’s not much that speaks against any of these hair cutting machines. Our best hair clipper reviews 2016 showed that it rather depends on the situation in which you’ll be using the devices. Which Hair Clipper is suitable for you? 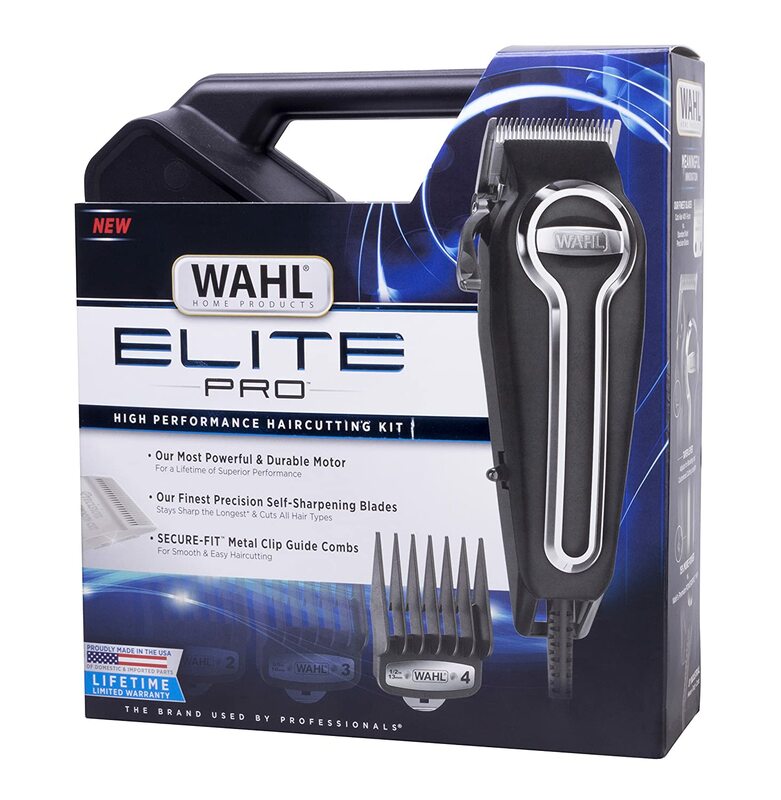 The Wahl hair clipper Elite Pro; Wahl hair clippers are one of the UK' best cord operated cutters around. If you’ve decided to buy a hair clipper set then let us narrow down how to find the best hair clippers for you, what to look out for and some useful hints for your search. Would you like to save hair dresser expenses? 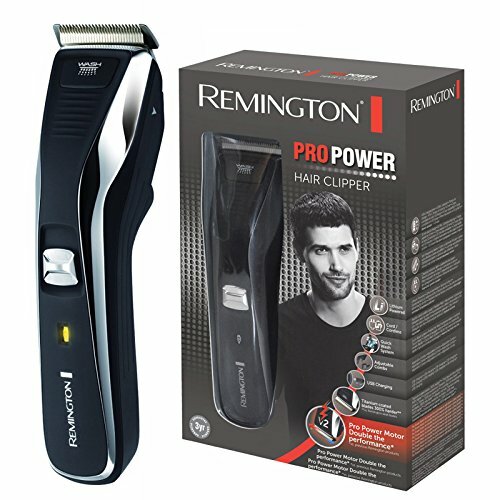 With a professional hair clipper (as for example Remington hair clippers) that is attuned with your hairstyle, in future yo can cut your hair quickly and without struggle and of course cheaply. If you know what you’re doing when it comes to cutting, you’ll only have to pay for the hair clipper set once and then save money for the next couple of years. This is why we recommend paying a little more for your best hair clippers. Where do I find women’s hair clippers? You might have noticed that when it comes to cutting the hair on your head, the market seems to offer men’s hair clippers exclusively. In principle, except for maybe beard trimmers, most hair cutting machines aren’t gender specific. A woman may cut her hair with a hair clipper if she likes though the market’s target group are men as it’s suggested that that women wouldn’t cut their hair themselves. Men’s hair clippers aren’t really “made for men” but rather just advertised as such. Would you like to buy a cheap hair clipper? The best hair clippers don’t have to be extremely cheap. There are plenty of places with special offers, discounts and generally low prices on top-quality hair cutters. Keep an eye out for hair clipper sales in shops like Tesco, Boots, Asda and Argos as well as online shops . In our best hair clipper reviews 2016 you’ll see our best value for money “price-tip” which we recommend buying if you’re looking for a good but very affordable model. Would you like to buy the UK’s best hair clippers? If you want to make a long term investment and spend a little more money to get a top quality brand of hair clippers then we recommend you take a look at our best hair clipper reviews at the top to see our winner and the UK’s best selling hair clipper brand. In our reviews 2016, these models currently proved to be the best buy hair clippers in the United Kingdom. To give you a good overview of the UK’s best hair clipper brands, we’ve listed the biggest on the market below with a few examples. If you’re looking for these brands when you buy a hair clipper set, you’re always better off than picking any cheap model. Remington hair clippers are very well known. Remington is generally acknowledged as one of the best blade/ shaving utensil producers in the UK. 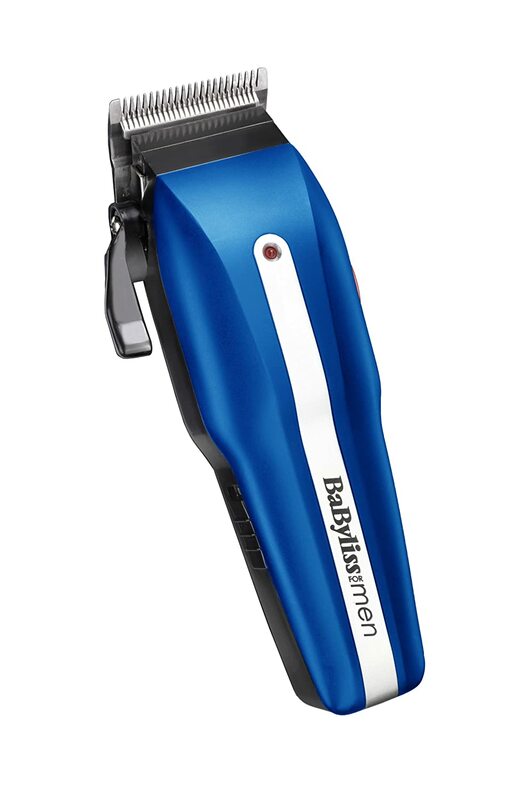 The BaByliss for Men 7447BU Pro Hair Cutting Kit. 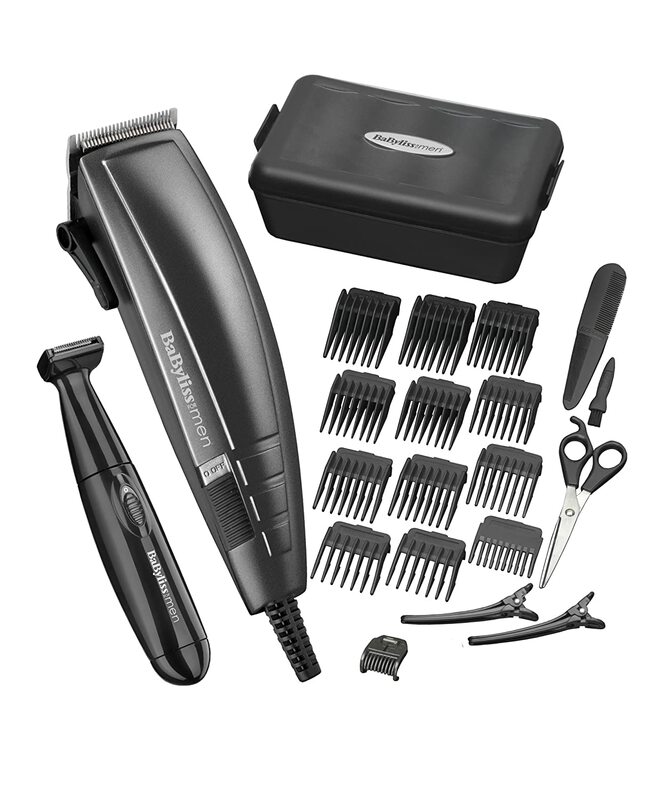 n often buy hair clippers as stand-alone devices, we recommend you simply buy a complete grooming set. Hair clippers usually come with a wide range of attachments and cleaning/ grooming utensils that make your home hairstyling complete. Comb Guides: These are comb attachments that define the cutting lengths. They usually range from about 2 to 25 mm. Hair Clipper Oil: This is used to prevent rust, keep the blades cool and helps smoother cuts when applied regularly. Separate Trimmers: These are for precision trimming around the ears, sides and back. Storage Case: Protects the clipper and keeps it safely stored for travelling. Barbers Comb and Scissors: These are handy for some manual corrections or simple grooming in certain areas.